Yin is a GP and Wellcome Trust Primary Care Clinician PhD Fellow in Cambridge. She graduated from Royal Free and University College Medical School and completed her foundation training in the London deanery. She holds an MSc in Health, Population and Society from the London School of Economics, and was an Academic Clinical Fellow in Cambridge. During her ACF, Yin worked under the supervision of Prof Martin Roland and Prof Yoryos Lyratzopoulos, developing her quantitative research skills through performing research using large national datasets. She has had experience working with patient-reported data using the GP Patient Survey, as well as routine and administrative data from the Cancer Registry. Yin has an interest in diagnostic quality and safety in primary care, in particular relating to early cancer diagnosis. She currently works in the Cancer Group within the Primary Care Unit, and is undertaking a mixed-methods PhD under the supervision of Dr Fiona Walter and Prof Yoryos Lyratzopoulos. Her PhD aims to explore missed diagnostic opportunities in patients with bladder and kidney cancer. Her work involves the use of linked Clinical Practice Research Datalink (CPRD, primary care data), secondary care and Cancer Registry data, as well as primary data collection in GP surgeries. 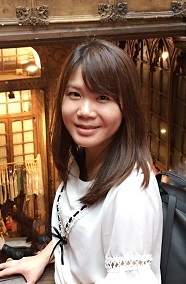 Yin was awarded the NIHR GP Career Progression Fellowship after her ACF, and the Wellcome Trust Primary Care Clinician PhD Fellowship in September 2017 to complete her PhD. Yin is a clinical supervisor in her GP practice and the GP Out-of-Hours service, and has experience of teaching medical students, junior doctors and GP trainees. She also supervises medical students attached to the Cancer Group for SSCs and other academic modules. She holds a Postgraduate Certificate in Medical Education from the University of Cambridge. Zhou Y, Abel GA, Hamilton W, Pritchard-Jones K, Gross CP, Walter FM, Renzi C, Johnson S, McPhail S, Elliss-Brookes L, Lyratzopoulos G. Diagnosis of cancer as an emergency: a critical review of current evidence. Nat Rev Clin Oncol. 2016. doi:10.1038/nrclinonc.2016.155. Koo MM, Zhou Y, Lyratzopoulos G. Delays in diagnosis and treatment of lung cancer: Lessons from US healthcare settings. Cancer Epidemiol. 2015; 39(6):1145-7. Zhou Y, Puradiredja DI, Abel G. Truancy and Teenage Pregnancy in English Adolescent Girls – Can we identify those at risk? J Public Health. 2016; 38(2):323-329. Zhou Y, Abel G, Warren F, Roland M, Campbell J, Lyratzopoulos G. Do Difficulties in Accessing In-hours Primary Care Predict Higher Use of Out-of-hours GP Services? Evidence from an English National Patient Survey. Emerg Med J. 2015; 32(5):373-8.